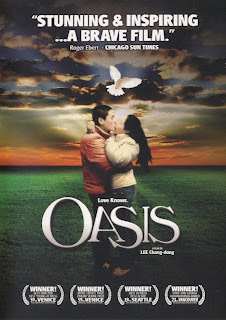 Oasis is a third feature film from one of the finest Korean drama directors - Chang-dong Lee. 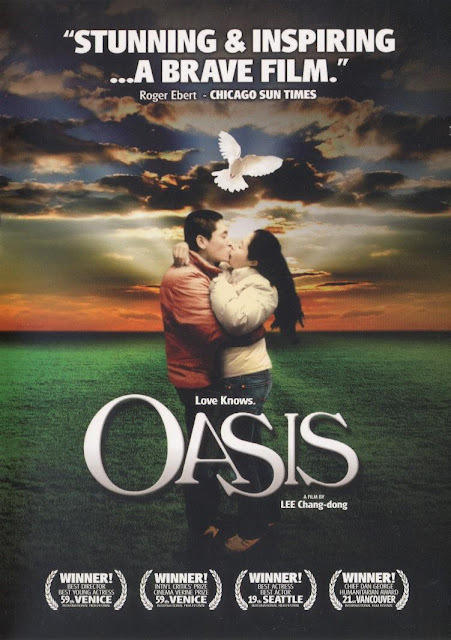 This drama gained him international recognition, a nomination for Golden Lion, Special Director's Award, SIGNIS Award and FIPRESCI Prize at Venice Film Festival of 2003. 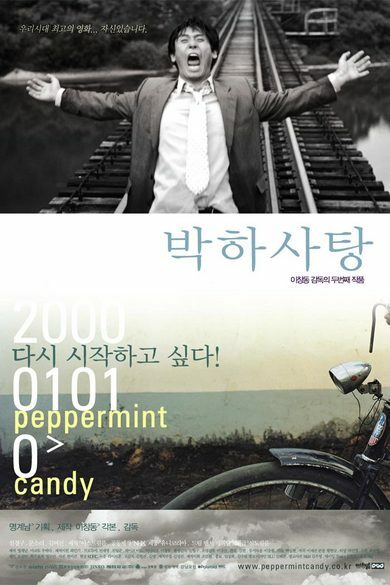 After finishing this movie he went to serve as South Korea's Minister of Culture for one year. 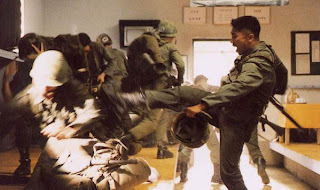 After being released from prison for commited involuntery manslaughter Jong-du Hong (Kyung-gu Sol) returns to his family, only to find himself redundant among them. In prison he had resolved to make an apology to the family of the man he murdered. After arriving there he spots a girl Gong-ju Han (So-ri Moon), and out of his feelings of abandonment and loneliness he makes advance at her. But there is something about these two people that makes this story very special. Jong-du Hong is slightly mentally handicapped and Gong-ju Han has suffered stroke and has severe cerebral palsy. He is mentally unfit for this society, and she is physically. Both their families threat them badly and see as a bother. They are unwanted. Is true love possible between them? 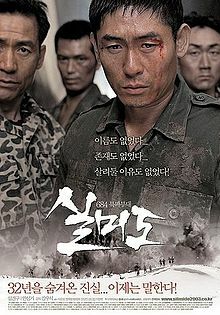 Heavy and dramatic movie about people who are different from others. An emotional roller coaster in which director manages to squeeze out tears or sadness and little joy. It's hard to watch movies as emotionally draining as this one, and yet gives rewarding feeling of satisfaction after credits roll. And I'd really like to emphasize powerful performances of both actors, especially So-ri Moon whose portrayal of cerebral palsy victim is phenomenal, and it's hard to believe it's the same actress after you see her out of the character. DVD (UK) | DVD (Special Edition) from YesAsia.